Your FERS retirement calculation can be complicated, but it does not have to be. Most of the federal employees calculate their federal retirement annuities before retirement so that they can have a comfortable understanding of their post-retirement income. 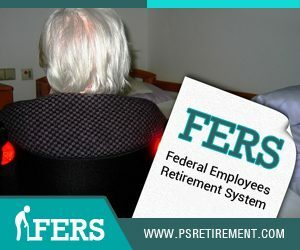 If you would like the same, then you need to read this article where we will discuss various scenarios that may be pertinent for a federal employee seeking full or early retirement. Your FERS retirement calculation can be complicated, but it does not have to be. What is MRA and How It Works? While doing FERS retirement calculation, it is vital to know the minimum age requirement or MRA, which ranges from 55 to 57 years of age. It will depend on your year of birth, for instance, if you were born before the year 1948, your MRA would be 55 years of age. In contrast, if you were born in the year 1970 or later, your MRA is 57 years of age. If you have at least 10 to 30 years of service, then you can also retire at your MRA. But in such a case, your FERS benefit will reduce about 5 percent for each year until you reach 62 years of age. To ensure that you are not penalized, you can delay the receipt of your annuity to a future date. When performing their FERS retirement calculation, many people wonder about how they can retire earlier. If you also want to know the same, then you should know that you can potentially retire early without reaching MRA if you are faced with a reduction in force, transfer of function or reorganization. You can also retire early if and when your agency provides you with an opportunity to retire under the Voluntary Early Retirement Authority. When that happens, your age and service requirements will likely get reduced. You can get the option of retiring when you reach 50 years of age with 20 years of the service or with 25 years of service at any age. In Voluntary Early Retirement Authority cases, the 5 % per annum penalty that is levied for being less than 62 years old is usually waived. So, you get the benefits you deserve from the first day of retirement. All the FERS annuity calculations are based on a very simple formula that lets you estimate the retirement benefits. The estimate would be more accurate if you are nearer to the retirement. The formula is .01 x your high-3 (highest three earning years) multiplied by your years and full months of service. If you are older than 62 years or exactly 62 years of age and have the minimum 20 years of creditable service, then you need to multiply the high-3 with .011 rather than .01. The product of this simple FERS retirement calculation formula is the basic annuity you will get. If you choose to retire before you reach 62 years of age, you are entitled to a Special Retirement Supplement (SRS) that will come close to the Social Security benefit earned by you while being an FERS employee. To receive the SRS, it is mandatory that you retire after reaching your MRA with 30 years of service or at 60 years of age with 20 years or service or when you are approved to get an early retirement. In the latter case, the SRS will begin only when you reach the MRA. Deciphering the social security component is tough, so you should get an annuity estimate on a yearly basis for many years before retirement so that you can ensure that the records of your work and earning history available with SSA are correct. You are free to sign up for an account at www.ssa.gov as it will give you the liberty of getting a projection whenever you want. Most of the FERS retirees are not entitled to getting cost-of-living adjustments (COLAs) on annuities until they reach 62 years of age. SRS is never increased by COLAs as it ends at age 62. But there are exceptions to the rule. COLAs are added to annuities and SRSs of law enforcement officers, military reserve technicians, air traffic controllers and firefighters. When COLA is payable under the FERS, a full adjustment is paid in cases where the consumer price index figure is 2 percent or less than that. If it is between 2 to 3 percent, 2 percent COLA is paid, and if it is more than 3 percent, the COLA is the CPI figure minus one percentage point. Understanding your FERS retirement calculation better can help you better calculate the annuity you are owed in retirement. Although the formula is relatively basic the method and the nuance can be tricky. 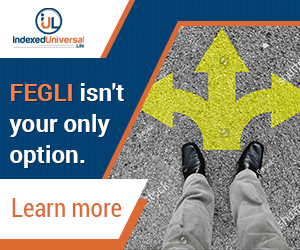 It is almost always best to review these topics with a knowledgeable professional who has been trained in Federal Retirement benefits to ensure you receive the maximum retirement benefits possible.